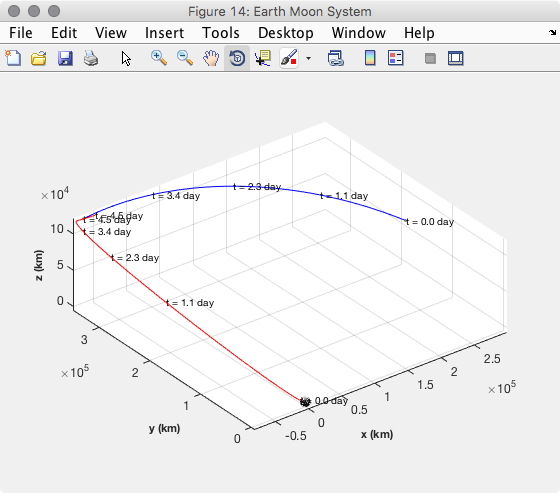 The LunarCube module, for use with the CubeSat Toolbox MATLAB®, provides you with the tools needed to design lunar missions - all within the MATLAB environment. The toolbox is designed with student teams in mind and up to 10 team members may register for technical support on one license. Full source code is included! 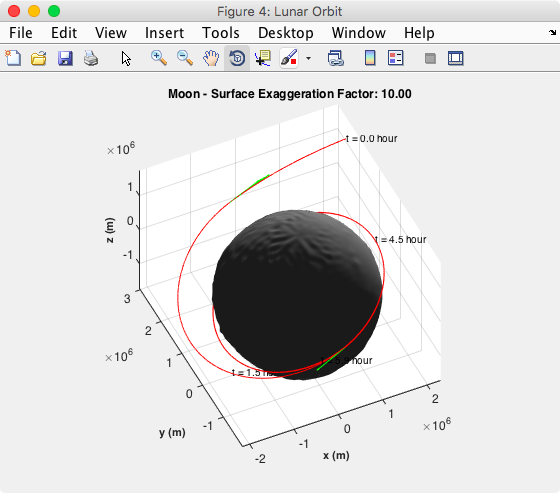 The lunar mission simulation lets you simulate a spacecraft with reaction wheels and thrusters. 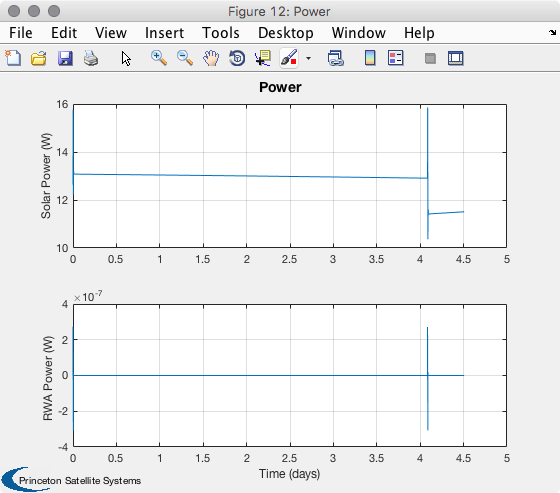 The power system and thermal system are also modeled. It permits complete end-to-end simulations of your spacecraft with a minimum of effort. Unlike other simulations you can studied the detailed performance of your control systems and view their impact on the power and thermal subsystems. The LunarCube module adds lunar mission functionality to the CubeSat toolbox. For more information on the different versions of the toolbox see our comparison table [pdf] or go back to the SCT or CubeSat pages. The LunarCube module is applicable to any lunar mission project. Control system design, analysis and simulation. Missions in lunar orbit and in translunar space. Download the "Getting Started" guide or view the published demos. To request additional information, please send an email using your university email address. View the CubeSat Toolbox API. 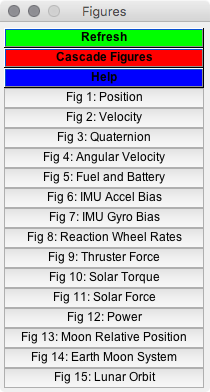 This gives a description of every function included in the CubeSat Module as well as the subset functions of other modules that are included with the CubeSat toolbox. The license for the LunarCube module is for an entire university CubeSat or nanosatellite team. Up to 10 users may register for technical support. The team must already own the CubeSat toolbox. To register users you must send Princeton Satellite Systems a list of user's names and their university email addresses. Gmail, etc. addresses will not be accepted. If purchased for commercial use than the license is per user as with our other toolboxes. Our software license is perpetual and includes complete source code. All PSS products include 90 days of free telephone support and one year of free email technical support and product updates. Annual maintenance fees provide software updates and additional technical support. The CubeSat Toolbox is EAR99 and generally does not require an export license, however an export check will be performed for all international customers. For complete details, refer to the Software License Agreement.